Telfonix provides the radiology billing, coding, collections and financial reporting necessary to help radiology practices succeed in the changing healthcare environment. Independent radiology practices are facing a period of tremendous change as they manage issues related to annual coding and compliance changes, the voluminous ICD-10 code set, and evolving value-based reimbursement models. Many practices recognize that to compete in this new environment, they need to implement new ways of addressing financials and new strategies for managing operations. As experts in coding for diagnostic radiology, interventional radiology, nuclear radiology and radiation oncology, Telfonix can provide the revenue cycle management services that can guide you through the complexities of the new healthcare environment. We offer a comprehensive set of radiology billing services designed to help your practice increase cash flow, control costs and reduce compliance risks. At Telfonix, we help thousands of radiology practice leaders nationwide build a strong financial future while reducing the overall cost of collections, improving coding and charge capture, and billing appropriately. 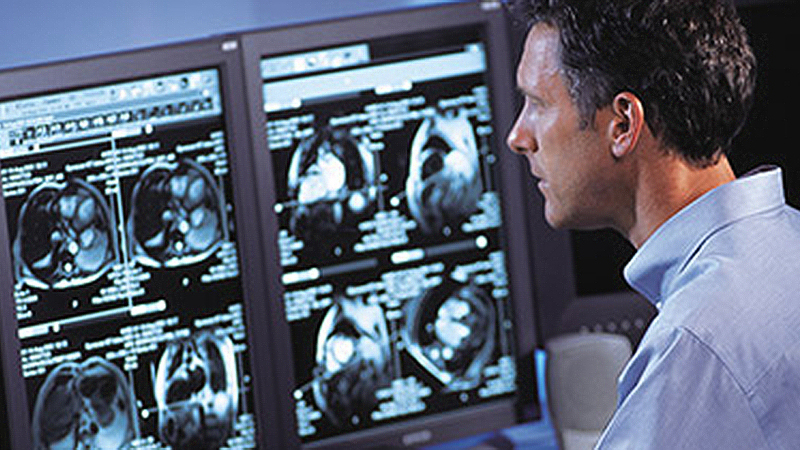 We’ve assembled one of the industry’s largest team of certified radiology coders. They receive ongoing training and testing to ensure their skills stay current with the latest regulatory changes. Over the years, we have developed near real-time financial management and productivity reporting. For example, we have reports for rendering physician work RVU stratified by date/time read, reading location, modality as well as referring physician. Additional insight is provided to our radiology clients through daily and monthly reports that showcase cash-flow trends, days in AR, AR over 120 days, net collections, bad debt, and productivity by service location, modality, payer and physician. Our suite of radiology billing services enable you to select the level of support your practice requires, whether you need help on an ongoing, periodic or one-time basis. Staying informed and keeping you informed are hallmarks of our service where every Telfonix client is assigned a dedicated client manager experienced in radiology practice management. Your client manager will meet with you regularly to assess your financial performance and discuss regulatory and reimbursement changes that affect your practice. Whether improving operations, growing your practice or evaluating opportunities driven by value-based care, Telfonix provides radiology practices with the strategies and support you need to determine the next step to take. Additional reporting and analytics tools can provide you with essential and timely detailed medical billing and accounts receivable data, so you can monitor business patterns, optimize operations and improve decision making. Telfonix can help your group manage daily revenue cycle, financial, accounting and operational functions more effectively. In addition, we offer a range of services that encompass critical practice functions such as strategic planning, growth management, medical practice management, operations, clinical care coordination, physician onboarding and integration, provider network management and more. Telfonix helps practices evaluate and negotiate managed care agreements, provides advice on financial, strategic and administrative aspects of payer agreements, and helps practices evaluate periodic organization and expansion opportunities.